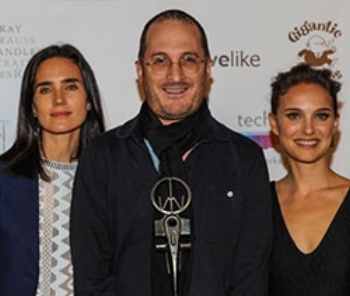 Acclaimed director, Darren Aronofsky was presented the honorary Maverick Award by Jennifer Connelly and Natalie Portman. Academy Award® nominated director Darren Aronofsky’s first feature, the surrealist psychological thriller Pi, earned him the Directing Award at the 1998 Sundance Film Festival, the Independent Spirit Award for Best First Screenplay and the Gotham Open Palm Award. He followed with Requiem For A Dream starring Jennifer Connelly, which was named to over 150 Top Ten lists, The Fountain, a science-fiction romance starring Hugh Jackman and Rachel Weisz, and The Wrestler, which garnered Academy Award® nominations for stars Mickey Rourke and Marisa Tomei. 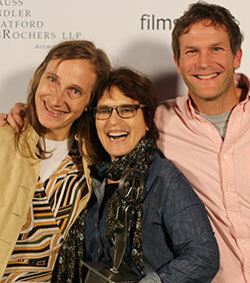 Aronofsky followed with Black Swan, which won Natalie Portman the Academy Award® for Best Actress and received four other nominations, including one for Best Picture. His most recent film Noah, starring Russell Crowe, Anthony Hopkins, Jennifer Connelly and Emma Watson, was released in 2014 to critical acclaim and box office success. Aronosfky was presented with a handcrafted trophy designed by Steve Heller. Click here to see video of presentation online. 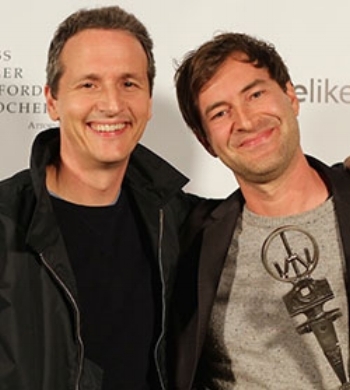 Indie Actor and Director Mark Duplass was honored with the inaugural Fiercely Independent Award Duplass is known, among other films, The Puffy Chair, Hannah Takes the Stairs as well as a role on the hit series The League. Tom Quinn, co-president of Radius-TWC, presented the award. 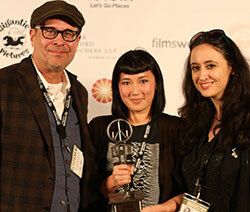 Duplass was presented with a handcrafted trophy designed by Steve Heller. 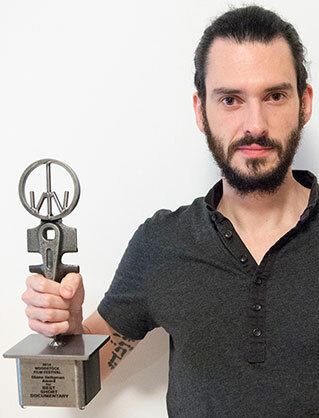 A statement on behalf of Wexler reminded the audience, "This award is based on what I consider true cinematography, not just on the traditional photographic dexterity. He has that. Michael Lavelle's work on Patrick's Day shows a profound understanding of the story and his ability to employ DP skills such as framing, focus, lighting, and camera movement is subtle, in un-selfconscious ways to subliminally involve the viewer." 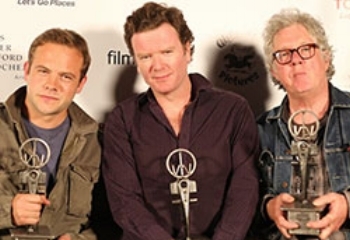 The inaugural Woodstock Film Festival Ultra Indie award is presented to an outstanding film with a budget of less than $200K. 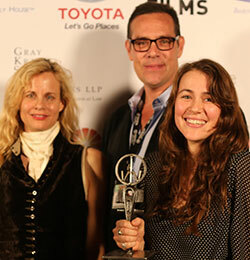 The films nominated raise the art of low budget filmmaking to a higher level and we are proud to partner with Gray, Krauss, Stratford, Sandler, Des Rochers LLP to reward the best of these ultra low budget selections from the 15th Annual Woodstock Film Festival. 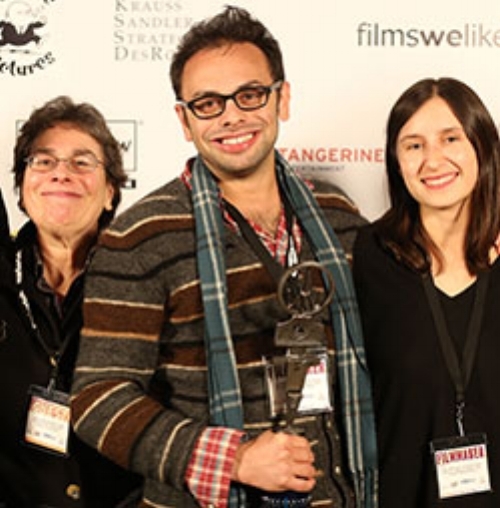 Woodstock Film Festival was thrilled to announce that the 2nd Annual Tangerine Entertainment Juice Award was presented to director Caryn Waechter for The Sisterhood of Night.